Bay Area Houston: Cinco de Mayo, a call to register and vote. Cinco de Mayo, a call to register and vote. During the French-Mexican War (1861-1867), an outnumbered Mexican army defeats a powerful invading French force at the small town of Puebla de Los Angeles. 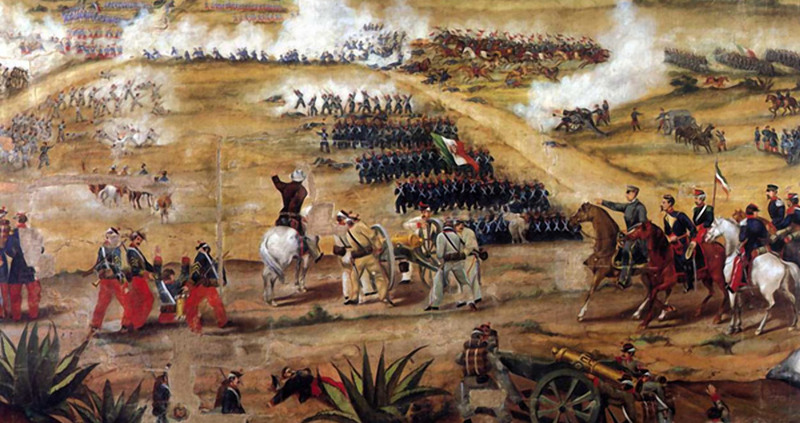 The retreat of the French troops at the Battle of Puebla represented a great moral victory for the people of Mexico, symbolizing the country’s ability to defend its sovereignty against a powerful foreign nation. It's not Mexico's Independence Day. That is September 16th which is not generally celebrated in the United States but it is a national holiday in Mexico. Cinco de Mayo is celebrated in the United States but not generally in Mexico. It is a holiday in the State of Puebla. Cinco de Mayo is a celebration honoring the courage of those who fought against a heavily armed, large foreign enemy. They were outnumbered 6000-2000 but forced the French army to retreat. They stood up when necessary putting their lives on the line. Maybe the Mexican Americans here in the United States will do the same by registering to vote and voting in the next election. It doesn't take losing your life to vote. It's easy. It's important. It's not your right, it's your duty. The republicans leading this state and nation have authored bills that will target those who look "illegal". They have made fun of our language. They have called us rapists and murderers. They say we bring disease and have "calves the size of cantalopes". And they keep doing it because there are no consequences. We, as a group, do not vote. Every other group does. The Muslim, African American, the gay community, and others vote. We don't. If we would simply vote our power, this invasion of our community would stop. Immediately. So we can either lay down our arms and just give up or we can simply go vote.